This is great! You should all be proud of yourselves for getting organized, taking action and getting the benches back. Makes me love OB even more! Abby – the benches are not back yet. 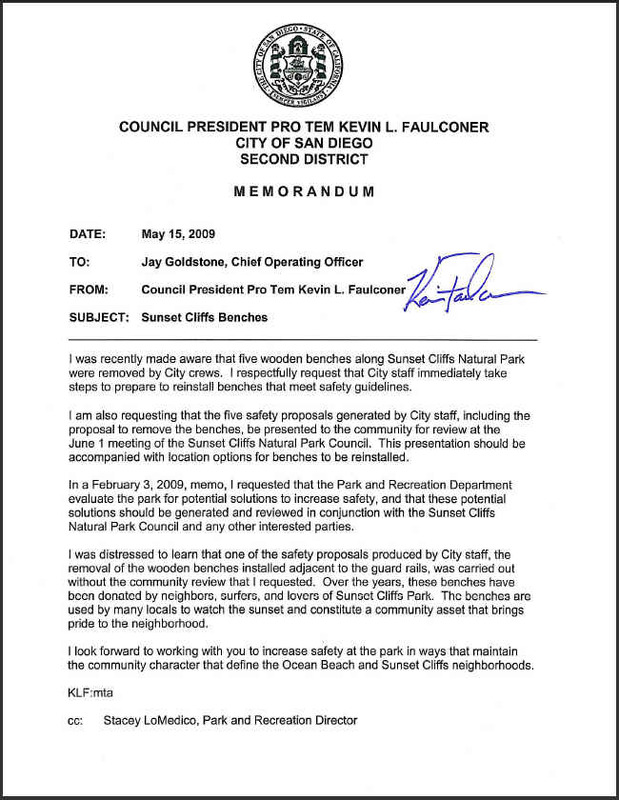 Councilmember Faulconer is requesting that the city replace them. Frank, Yeah, I got a little too excited prematurely. But I think it’s going to happen. Older Article: Something stinks at Wholefoods: Union Busting in Hippie Clothing?